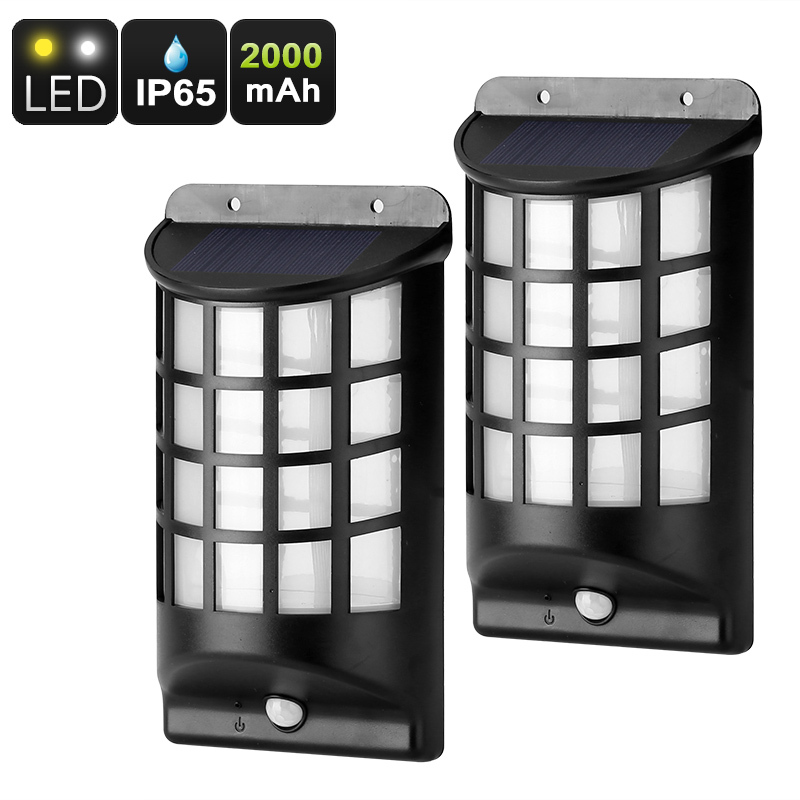 Successfully Added Outdoor Solar LED - 2 Pieces, PIR Motion Detection, IP65 Water Resistant, Solar Panel, 2000mAh to your Shopping Cart. Light up your pathway or garden with these outdoor LED solar lights. With their IP65 waterproof design, these outdoor lights are a great accessory for your garden or driveway. Both pieces feature 4 built-in LEDs that produce up to 54 lumens of light. This is enough to light up the surroundings and make the path clear for visitors that may stop by at night. With its PIR motion detection sensor, this outdoor LED light will turn on automatically whenever movement has been detected. This brings along great convenience and additionally makes it a nice security gadget. From now on, not a single person will be able to approach your property again without being detected by this PIR LED light. Each LED light comes with a powerful 2000mAh battery. This battery brings along plenty hours of continuous usage time and will get you through the longest of nights. With its solar panel, your outdoor lights will be recharged automatically during the day. Thanks to this, you’ll never have to worry about battery life. Your outdoor LEDs have been crafted out of durable ABS material and are water resistant. This means that your lamps will be capable of withstanding the toughest of weather conditions. With their simple design, you’ll be able to easily attach them to any surface. Once in place, these solar powered LED lights will light up your pathway for years to come without you needing to look after them. This outdoor LED comes with a 12 months warranty, brought to you by the leader in electronic devices as well as wholesale electronic gadgets..